You can find these books at your favorite Book Store. 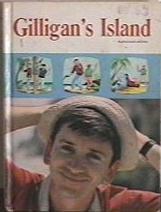 1)TV Treasure: A Companion Guide to Gilligan's Island. about the Gilligan's Island Musical and the movie. book that chronicles his life and acting career. relationship with Sherwood Schwartz and the other cast. 4)Russell Johnson: "Here on Gilligan's Island" (1993). Island, including a complete episode guide- and more. 5)Dawn Wells: "Mary Ann's Gilligan's Island Cookbook"
and others, and an episode guide. 6) "The unofficial Gilligan's Island Handbook" (1988). Island. 372 This book is interesting and easy to read. Due to it's unavailability it now sells for $19.95.